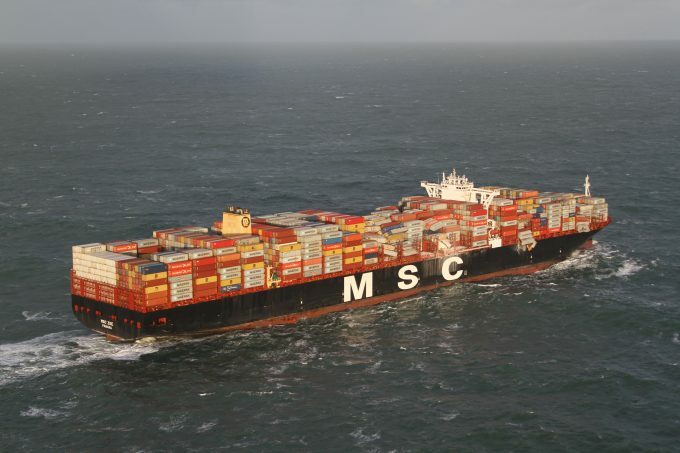 Local authorities and residents in The Netherlands remain to be put at ease by Mediterranean Shipping Company’s (MSC) promise to pay for the clean-up on Dutch island and mainland coasts affected after 281 containers fell off the MSC Zoe. 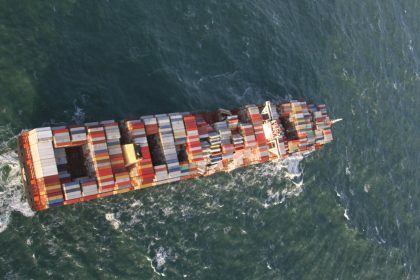 There have also been questions about the stowage plan of the 23,000 teu containership – in particular, the lashing of rows seven, eight and nine, from where the boxes fell overboard. The former managing director of salvage company Smit, Tak Klaas Reinigert, now resident on Schiermonnikoog, one of the islands affected by spills of styrene and other particles, told The Loadstar that, while the north-west force nine wind in the area may have been a hazard for small coasters,it should not have been a problem for a vessel as large as the MSC Zoe. He also suggested the speed of the MSC Zoe when the incident occurred needed to be investigated, as well as the lashing of containers on top of the vessel. These fell off the midship, which he said was “odd”. Meanwhile, Dr Bart Kuipers, port economist at Erasmus University, Rotterdam, said more thorough research needed to be carried out into the possible hazards involved in deploying ultra-large container vessels (ULCVs). Dutch Coast Guard pictures show the containers which landed in the sea had not been not secured by lashing rods. Niek Stam, an official at the FNV trade union, said it was hard to secure containers in rows seven, eight and nine in such way. “Vessels can be loaded according to an automated loading scheme. Only the top rows are manually loaded. As a rule, lashing is done by well-trained men, but not in every port,” he added. 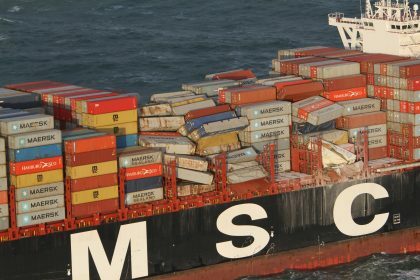 In the case of the MSC Zoe, the last port of call prior to its arrival at Bremerhaven was Sines, in Portugal, and Mr Stam questioned whether the containers that went overboard had been loaded there. “Nobody talks about the origin of those,” he told The Loadstar. MSC Zoe incident. The lashing bridges end 5-6 boxes high leaving 7-10 unsupported and probably lashed with wire and shroud only, In some ports unions prohibit crew to work with lashing and is carried out by stevedores to mixed quality. To send crew 20-25 meters above deck to tighten poor lashings in bad weather is something you don’t do.. Why not let the lashing bridges cover 10 high? Is it because the considerable weight of these offset several hundred tons of paying cargo ? Is it time for authorities to amend rules on how to secure cargo in mega-ships ? Fallen boxes are on the rise and soon insurance underwriters will react and reintroduce premium for cargo stowed on deck. That doesn’t cure the problem but maybe increase the awareness of cargo on deck also in the larger ships. In severe weather they do pitch as well and everything shaking and rattling and after 24 hours I can imagine stevedorers lashing work with wire and screw may turn loose and nobody dare to stay on deck – and shouldn’t ! I cannot believe some of the things I read in these articles regarding lashing and stevedores. Very easy to blame the stevedores in these situations right? The first thing to know is that when a third party lashes the vessel it is the crews responsability to sign off on the lashing and to make sure that all lashing rods and turnbuckles are tightened by the lashing men. Why are they mentioning rows 7..8..and 9….surely it is known that these are no correlated rows? Also isnt it a conincidence that the containers fell off varios bays and not just one? In my opinion this is not a lashing issue…. poor cargo planning or navigation. It is vitually impossible that a vessel of this dimension could leave port without the lashing work up to date.